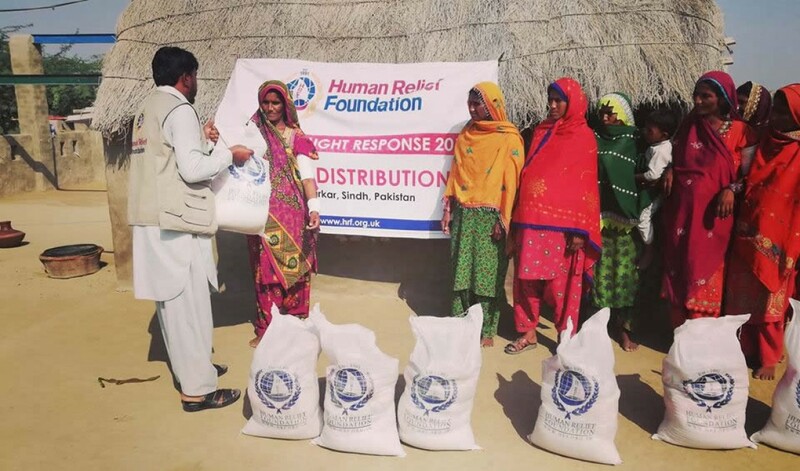 300 individuals have already received food packs. Each packs provides sustenance for one month and contains pulses, rice, tea, salt, spices, pickles and sugar. 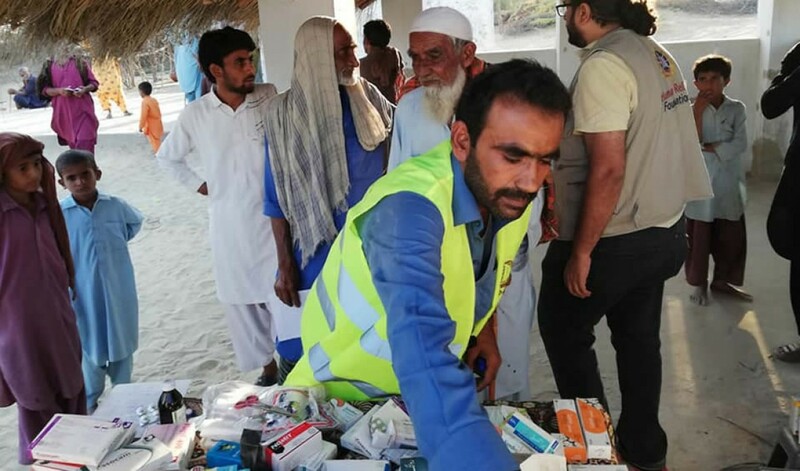 HRF has organised medical camps in one of the six villages affected by the drought and has been able to provide medical relief to over 130 patients. 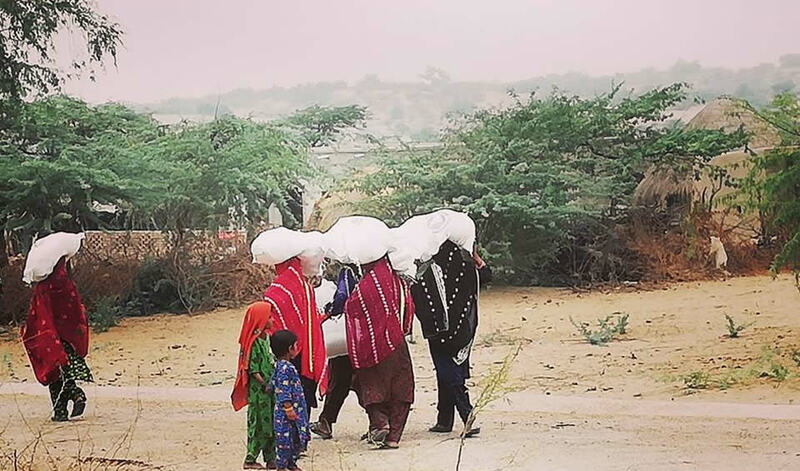 One of the most under-developed districts of Pakistan, the Government of Sindh has described Tharparkar as a ‘calamity-affected area’. Over 200,000 households are now affected. The primary reason for the drought is the acute shortage of rainfall since most of the agriculture is dependent on the rain. Families who rely on agriculture and livestock as their main sources of livelihood are now in need of sustenance. To aid the government’s response, HRF is providing services for food security, health/nutrition and clean drinking water facilities through the installation of waterpumps to the affected population. A clean drinking water shortage constitutes one of the biggest challenges to survival. Families, who are dependent on water for their livestock and farms, will be severely affected. When donating towards a waterpump please fill out the form below to customise your plaque. Please write the text you would like on your plaque here. Please keep it short and simple i.e. In memory of [full name]. Your donation will contribute towards funds to help provide food packs, supplements to pregnant families/mothers of newborns, formula milk for infants, and water for communities. 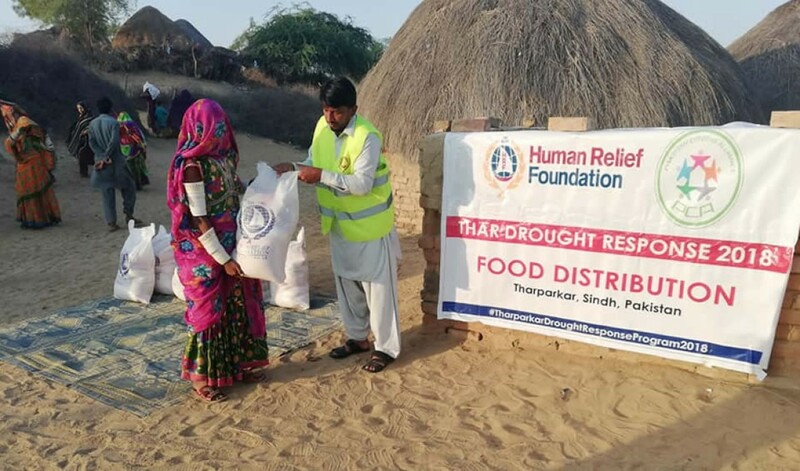 Families in Tharparkar are counting on your aid and assistance. Please donate today. 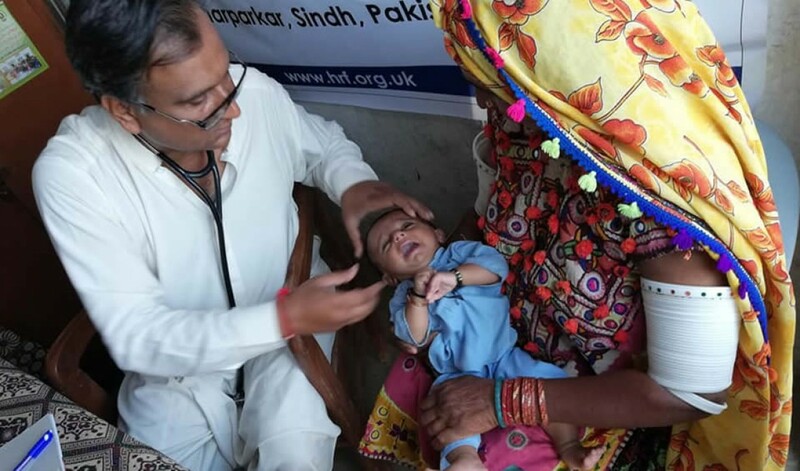 To donate over the phone, please call 0207 060 4422. We are transparent and open about how we use your donations, and we will be sharing updates of our work. Join us on Facebook, Instagram and Twitter for the latest updates. You may also subscribe to our newsletter down below.